Technology is a wonderful thing. The internet brings us closer to far-flung friends and family members, lets us explore the world without moving from the comfort of our home, produce and consume new and unique kinds of content. 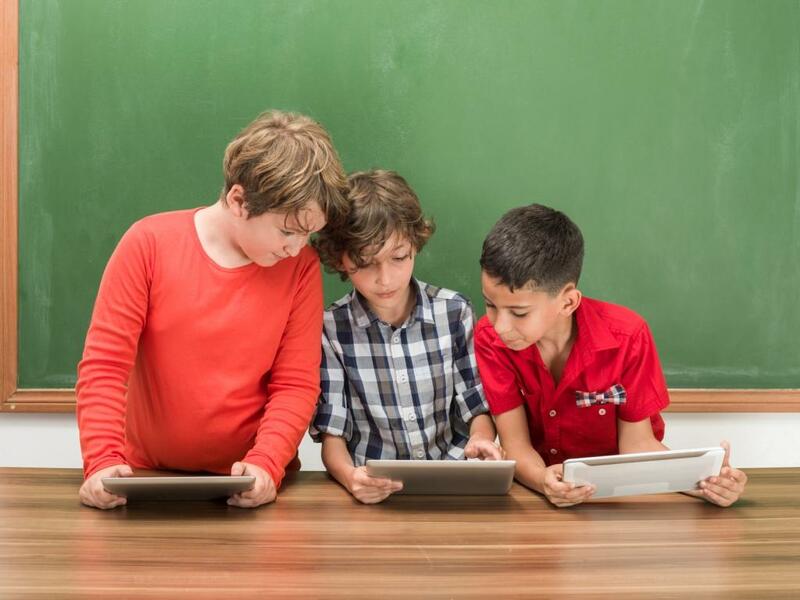 Students find Google more helpful than their teachers at school, employees use email and instant messaging apps to always remain connected to the workplace, and business owners get inspired daily by the endless content available online. Unfortunately, this can lead to severe cases of technology or digital addiction. If you or your adolescent child are spending the bulk of your time on smartphones, compulsively checking for emails, texts and social media updates, you may be exhibiting signs of technology addiction. It is a good idea to restrict your usage – and certainly that of your children – as technology, just like alcohol or cannabis, leaves a developmental impact on growing minds and a health impact on people across all ages. 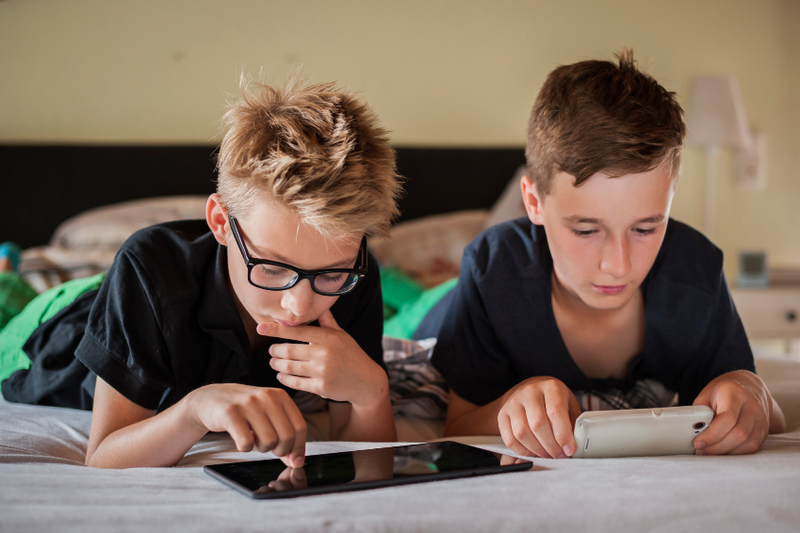 As children use their smartphones and social media to interact with their friends, their interest in and aptitude for face-to-face interaction reduces. Personal engagement and friendships become less interesting to children of the millennial generation, something that parents must keep an eye out for. Ensure that your children remain engaged with their friends at school. A 2012 study observed that young people with internet addiction disorder (IAD) show similar abnormal brain white matter patterns to people with substance addictions to alcohol, cocaine, and cannabis. Another study linked hyper-texting and hyper-networking (more than three hours per day) in teenagers to other negative behaviors such as alcohol or tobacco abuse and sexual activity. The sheer bombardment of content online makes children believe that they are entitled to a lack of boredom. Reading, playing outdoors and cultivating one’s own imagination are forms of hard work. Children who have been addicted to technology and who have grown up with the internet simply feel that this is too much effort! This reluctance to read and be active, and reduced imaginative capacity, impacts learning and mental development in children to a significant degree. A matter of concern for parents and guardians! Electronic devices (smartphones, laptops and tablets) give out blue light, which stimulates the brain. When you, or your child, overuse devices, it becomes harder for the brain to wind down and prepare for sleep. The more the brain is ‘wired’, the less it can rest. Sleep is essential for minds to remain healthy, wiping away toxins and processing experiences into memory as suitable and required. While there have not been too many studies into the consequences of sleep deprivation, chronic sleep disturbance has been loosely linked to brain disorders such as schizophrenia, autism and Alzheimer’s in humans. 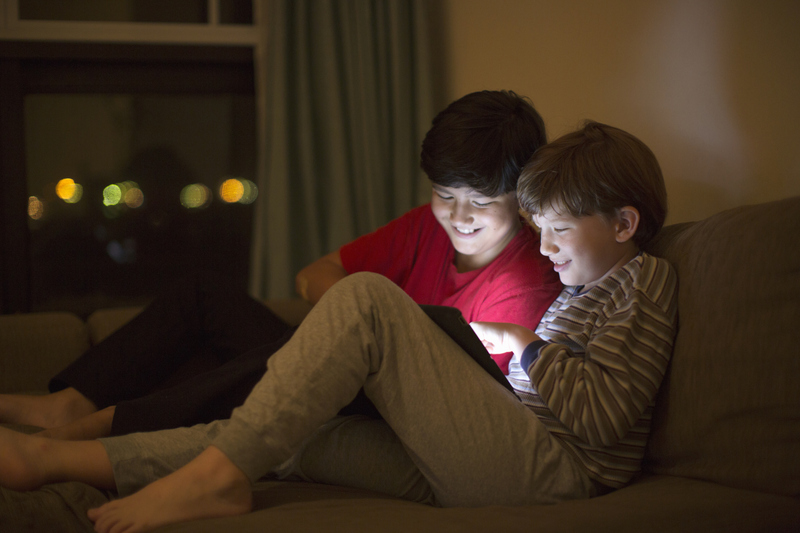 Children are finding it increasingly difficult to get to sleep at night, as they spend more and more time on their personal devices. The more kids use their smartphones through the day, and especially just before bedtime, the less they can easily wind down and go to sleep. Sleepless hours in bed result in bored children reaching out to grab their devices, perpetuating and worsening the problem! Excess usage of smartphones can result in aches and pains in the joints of the hands, linked to disorders such as carpal tunnel syndrome. Addicted individuals rarely put down their smartphones, and their bent heads and backs result in back pain, arthritis and other joint issues. In addition, of course, over-exposure to the blue light of electronic screens results in headaches, eye strain and other ocular issues which will need correction using spectacles. How To Prevent Technology Addiction? The first step, of course, is to disconnect from technology to the extent possible. Designate time periods when no one can use their smartphones and other devices. Identify a single location which can be the designated ‘charging dock’ of the home. Ensure that your children do not use their devices within an hour or two of bedtime. Create a balance between the virtual world and the real world. Your children learn first and foremost from you. Put your devices aside when you get home. 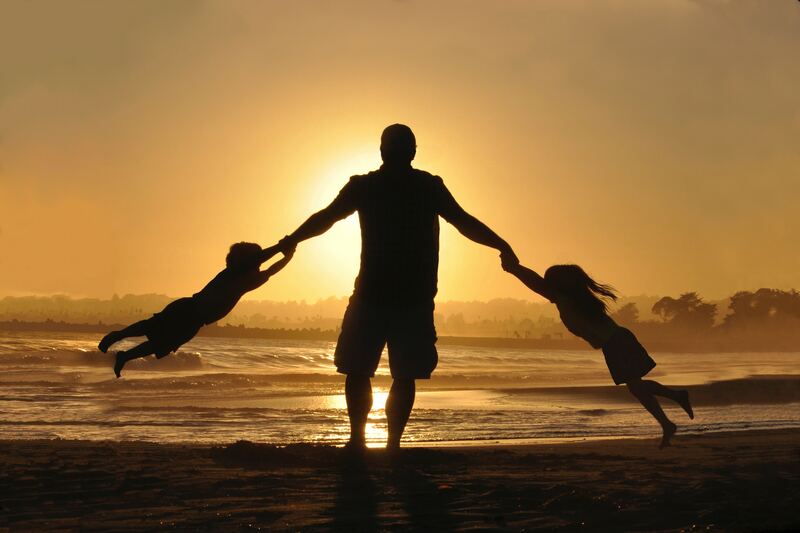 Make sure that you spend as much face-time with your children as possible. The use of protective eyewear can play an important role in shielding your eyes against the effects of blue light. Most importantly, remember that you are, in fact, the parent and responsible adult. You can restrict your children’s access to the internet and tech devices. 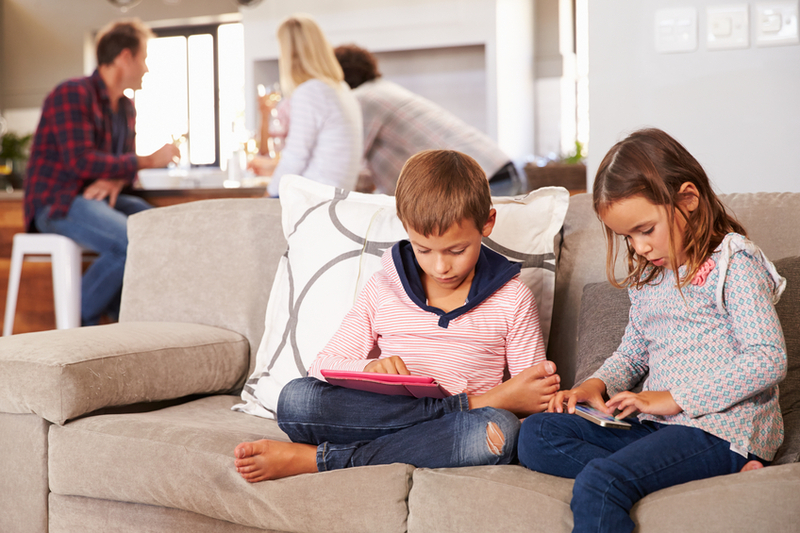 While your adolescent child may disagree, most parents and teachers would agree that you should protect your child from the dangers of the world wide web by putting parental controls on their devices. 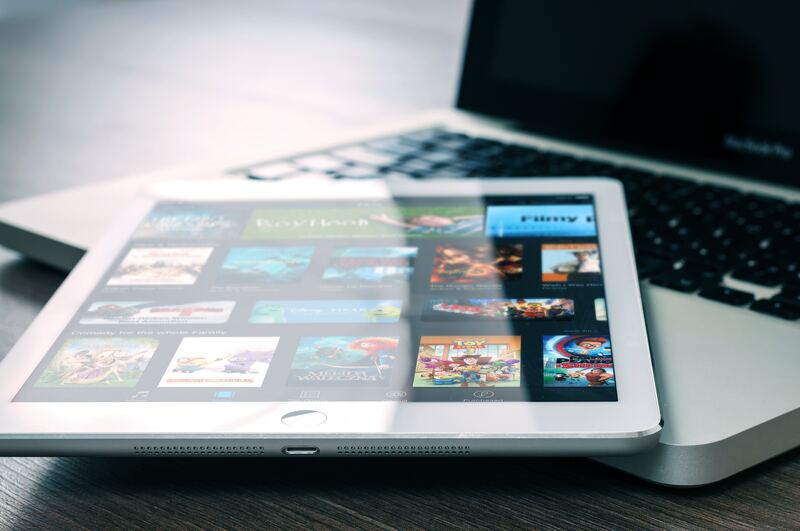 Consider using a user-friendly, efficient tool to provide parental controls and checks on the extent and nature of internet usage by your teenagers. As they say: trust, but verify! Tech addiction is a danger to the health and development of our youngsters. Let’s work together to maximize the value of technology used, and reduce the risks. Additionally, take some ideas on how to prevent tech addiction from here.